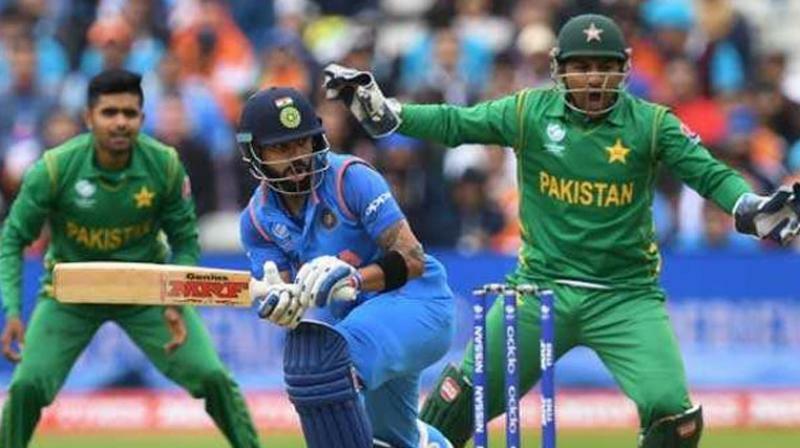 Home The International Cricket Council COA to discuss whether India should play Pakistan at World Cup 2019. COA to discuss whether India should play Pakistan at World Cup 2019. MUMBAI: The Supreme Court-appointed Committee of Administrators (CoA) who on Thursday got a new colleague in Lt General (retd) Ravindra Thodge, former Master General Ordnance (MGO) of the Indian Army will meet in New Delhi on Friday to take a call on whether India should play Pakistan in the 2019 ICC World Cup. The Supreme Court appointed Committee of Administrators (CoA) will meet on Friday to discuss the raging topic of whether India should play Pakistan in the World Cup. On eve of the meeting, media reports spoke about BCCI mulling over writing a letter to ICC asking the parent body to ban Pakistan from the upcoming World Cup. While a discussion on this unprecedented move is expected, the BCCI is expected stick to its good old stand of putting the ball in the government’s court. Historically, the BCCI has always written to Ministry of External Affairs on the issue of playing neighbouring country and toed the line. The International Cricket Council (ICC) will be keeping a close eye on the BCCI meet involving Committee of Administrators (COA) on Friday when they deliberate to finalize India's position vis-a-vis ICC World Cup 2019. In an internal communication, the COA chairman Vinod Rai has asked the board's CEO Rahul Johri to draft an unprecedented letter to the ICC stating that Pakistan be kept away from the World Cup in the wake of the terror attacksin Phulwama which resulted in the death of 40 CRPF jawans. Pakistan-based terror outfit, Jaish-e-Mohammed claimed responsibility. BCCI officials privately admit it isn't playing by the rule book by asking ICC to keep Pakistan away from the upcoming ten-team World Cup starting May 30th. If the BCCI goes ahead with the proposed draft letter, it's unlikely to pass the muster constitutionally or contractually at the ICC.